This is a pink sapphire and diamond bracelet. The beauty of the natural pink sapphires is its color: rose pink. The sapphires source is Sri Lanka. The pinks are perfectly matched in size, color, and luster. 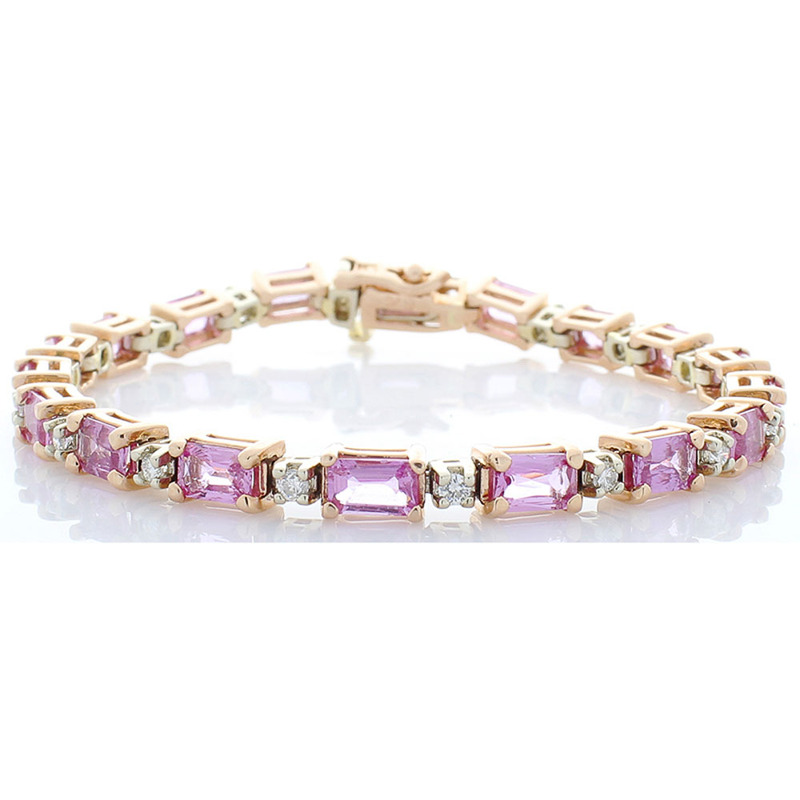 This wonderful bracelet features 10.85 carats, 18 stones, of lovely pink sapphires. Oriented in a slim east-west orientation, they are accented with 0.75 carats of brilliant cut diamonds. 18 diamonds alternate in this 14k white and rose gold bracelet. A perfect gift for the one you love.